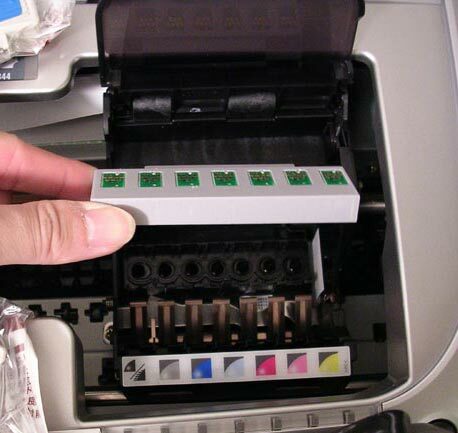 Q: How to install Epson 2200/2100 chipset? 1. The following pictures show how to install 2200/2100 chipset properly. 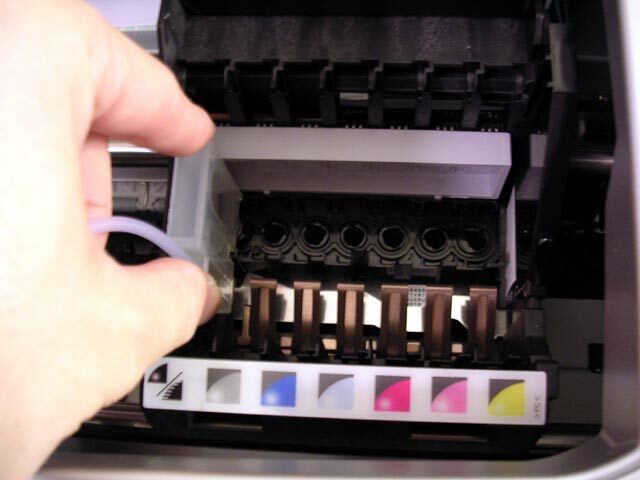 Incorrect installation of chipset can keep printer flashing with red lights. 3. Lift up the cartridge lid and unplug the power cord. 5. 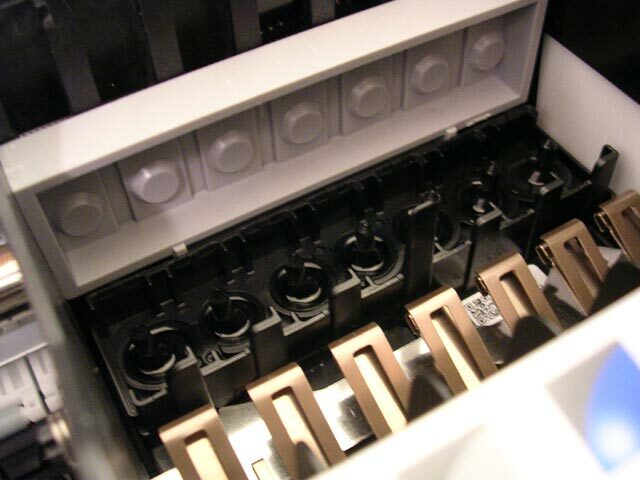 Push down the chipset holder. 6. 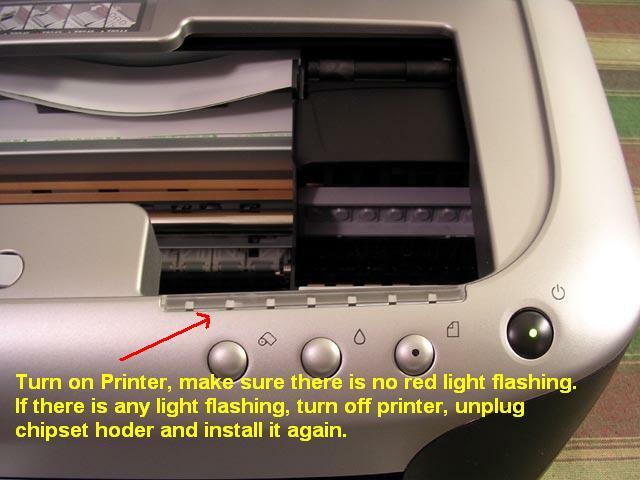 Plug in the power cord and turn on the printer. 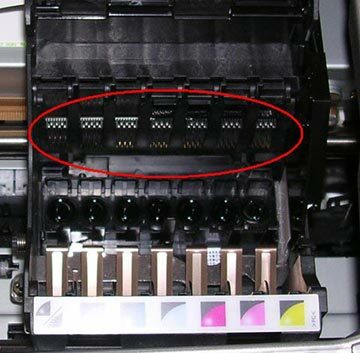 Let the printer do the startup testing to see if printer can read up the chipset. If there is NO red light flashing, it means you installed chipset holder successfully. If any of the lights is flashing, you need to re-install chipset holder. 7. 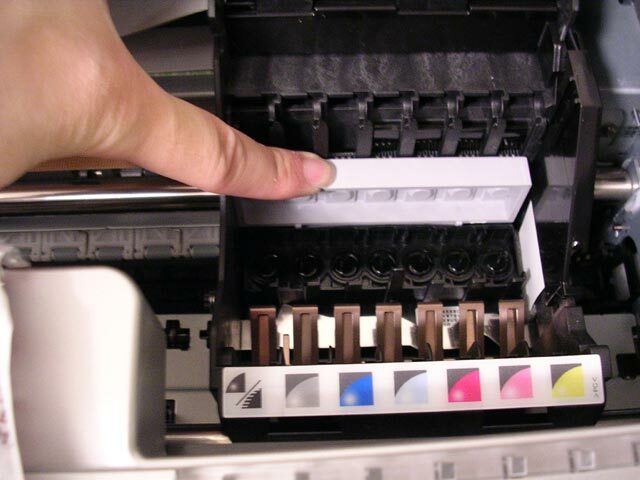 After installing chipset holder correctly, you can fill the damper with ink and start to install damper one by one. For more information about installation of dampers, please refer the installation VCD.